I’m sure many Presbyterians find comfort in my rabbi’s absolving them of guilt over condemning the Jewish State of Israel. Guilt can be so inconvenient – just ask Europe. It must be nice to know that one needn’t ask a Jew for permission to boycott that Jew’s spiritual home or circulate the manifestly misleading congregational study guide “Zionism Unsettled” ( or “Elders of Zion 2.0”). Our own (Rabbi Rosen’s) congregation, the Jewish Reconstructionist Congregation of Evanston, Illinois, takes a somewhat different view of Israel. According to our bylaws, “We view the Land of Israel as a spiritual, cultural and historical focal point of the Jewish People, and are committed to the upbuilding of Eretz Israel.” Little in that statement suggests fomenting the economic destruction of Israel. 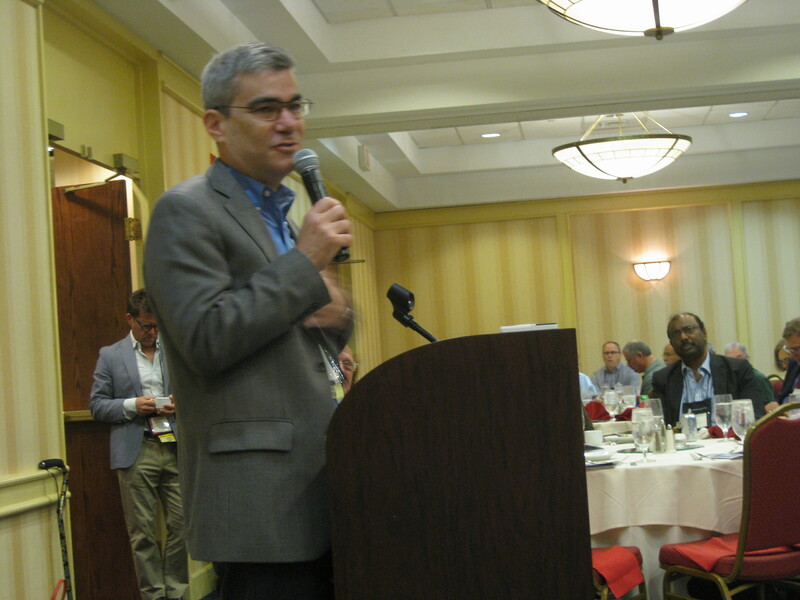 It was not my intention in my remarks to “absolve Presbyterians’ guilt” over condemning Israel. Like any nation, Israel is not above condemnation – and I believe it is perfectly appropriate to do so whether one is Jewish or Christian. Regarding “Zionism Unsettled,” I’ve also written extensively about why I feel this work is an important, if flawed resource. I do believe it is more than a little incendiary to compare it to “The Protocols of the Elders of Zion,” particularly considering it contains extensive sections that call Christian anti-Semitism to task. At any rate, I’m saddened by your characterization of this study guide and your words make me wonder if you’ve actually taken the time to read it. Yes, JRC’s bylaws do indeed contain the words you cite regarding our congregation’s relationship to Israel. I don’t believe any thing I’ve written or said has ever denied the importance of the Land of Israel as a “spiritual, cultural and historical focal point of the Jewish people.” If you really believe I have, I’d be interested if you could cite it for me. As for the “upbuilding of Eretz Yisrael,” I believe we have every right to do so – but I don’t believe we have the right to do so at the expense of Palestinian rights. Thank you for taking the time to write – I hope you know I’m responding to you in the spirit of respect and friendship. Thank you for giving me words from a man of faith and a Rabbi.I have been arguing probably foolishly with a Rabbi on face book who says there is no such thing as Palestine or Palestinians and in our conversation he calls Palestinians animals.I know enough Jewish people to not allow him to represent Jews to me but not many Rabbis. But I am always Impressed with your emails and appreciate getting one now after his hateful pronouncements. Be well and continue to do good things. It is your calling. And mine. Kathleen O’Connor Wang Long Beach,Ca. My sister is a neighbor in Vernon Hills! Ken, I think we at JRC can be committed to the “upbuilding of Eretz Israel” without committing to Israel the political entity as it now exists. Part of “upbuilding” can be working for a just and ethical Israel, with “full human and civil rights to all who live on the land”. “…when we define our entitlements to a finite commodity such as land, we only doom ourselves to a future filled with endless upheaval and violence. The Bible describes our lot in this regard only too well. No truer words were ever spoken. We must make all lands Israel or heaven on earth by bringing the light of The Most Sacred Spirit into all of them with our very presence.